Once upon a time in the Steel City, there was so much smog in the air that it could block out the afternoon sun. A British author even said it was "without exclusion may be the blackest location I ever saw." Since that time there have been many laws and regulations that have caused the air quality to improve significantly. Though we aren't quite at a "Happily Ever After" point in our air quality we can at least be safe knowing that we don't come home covered in soot! 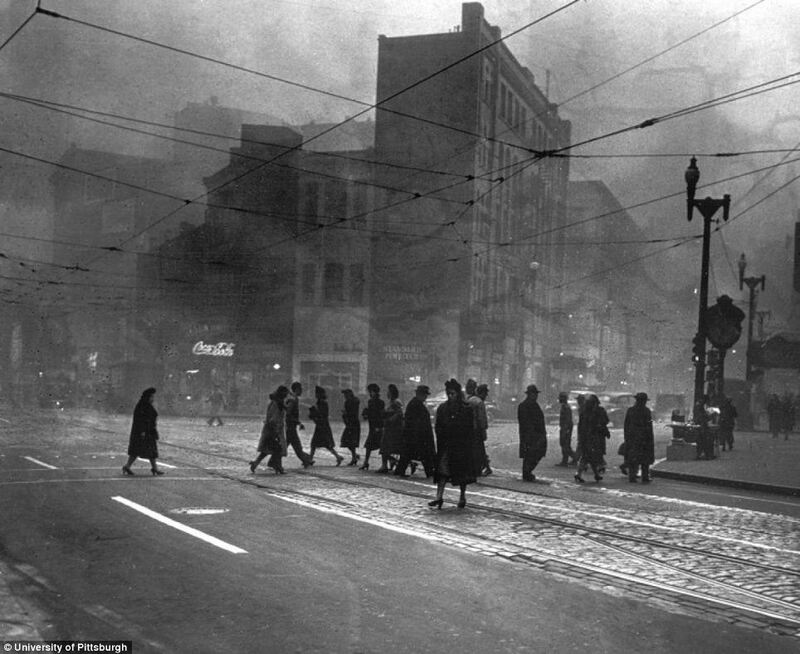 You have read this article Pittsburgh air quality / Pittsburgh in the 1950's / Throwback Thursday with the title Throwback Thursday | Days of Smog . You can bookmark this page URL http://afreakatheart.blogspot.com/2013/01/throwback-thursday-days-of-smog.html. Thanks! No comment for "Throwback Thursday | Days of Smog "